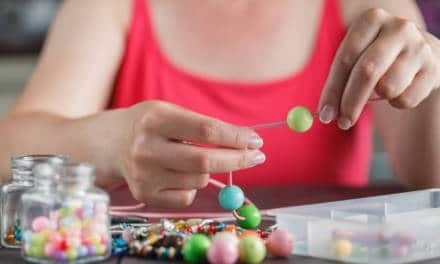 Let’s face it, Dubai’s birthday parties can be pretty amazing compared to the parties we were used to when we were growing up, but as many of us will know, putting together a child’s party from scratch normally involves a serious amount of hard work! If you prefer the easier option (yes please!) then there are two brilliant new spots – Dig It and Reel Junior that have just opened up for kids parties in The Springs Souk – and they’re already going down a storm! First up, is Dig It, a brilliant new play space that’s, (very apt for Dubai) based on a real-life construction site! It’s perfect for little ones that are into Diggers, Lego, Mechano and all sorts of building. In fact, it’s definitely the most fun your kids can have at a party wearing a hard hat! 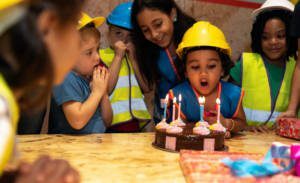 The party packages aren’t much more than the entry fee given that it’s AED 125 per child on weekdays (AED 145 on weekends). You’ll need to book for a minimum of 10 children but you can invite the whole class if you want to, as they can take a maximum of 30 children. Parties at Dig It include a 90 minute play session with one of their brilliant party hosts that really get everyone right into the building zone, and once the fun ‘work’ is done, party goers can then head to their dedicated party room where they’ll have 30 minutes for some light bites, cutting of the birthday cake and this is where drinks will also be served. Another good thing is that adults can enter Dig It for free and they have a nice café where all the parents can relax and mingle while their little ones are playing full-on! 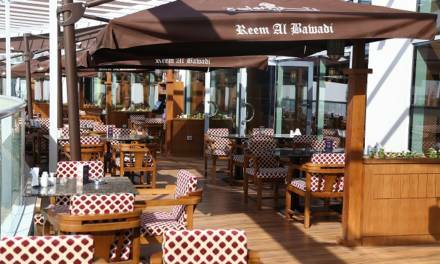 They’re open everyday from 10 am to 10 pm and under 2’s enter free of charge meaning it’s good for extra siblings too. 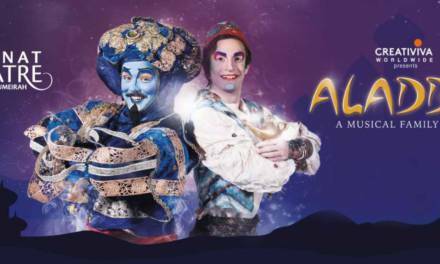 We think this is a fantastic play experience suitable for children age 3-10 years but for little one’s especially – we promise you, they really don’t want to leave the place! 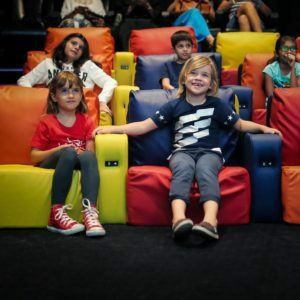 Reel Junior is a really cool party experience at The Springs Souk for children who want to watch the latest films in style with their chums – and what’s really special about this party venue, is that they’ve got a fab bean bag seating for your party guests to relax in, whilst watching their favourite flick. There’s also a dedicated Reel Junior Party Room here and this can be used for either the two hours before or after the movie session – (whichever you prefer), as timings for the party room are pretty flexible. The room accommodates up to 30-40 people and can be decorated with your choice of theme, and in true VIP style, your little celebrants will get direct access to the Reel Junior Screen straight from the party room – how very Dubai!! The package costs from AED 135 per child and with the standard option includes the dedicated Reel Junior Party Room (with the decorations of your choice), your very own party host that will keep everything running to plan as well as face painting and a choice of games to suit your party, not forgetting your choice of film of course! You’ll also get to offer your guests a choice of popcorn flavours as well as a variety of other cinema munchies and drinks. Choose from typical cinema party food such as mini hot dogs with lashings of ketchup, mini pizzas, vegetable sticks with hummus or chicken tenders, all accompanied by organic Sunblast juice or water. 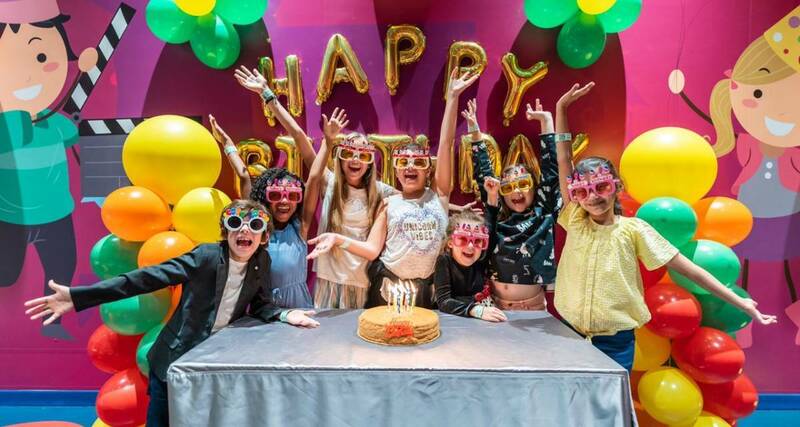 The Reel Junior parties are mostly suitable for children aged 3-12 years but if your children are a bit older or younger, they’re also welcome to celebrate with the Reel Junior Birthday Package as long as you’re choosing an age appropriate film.